Whether we have just started our bootcamp or have been running it for a while, it’s consistently the biggest pain I hear trainers having – How do I get more reliable, long term clients to come to my bootcamp? Then after my recent videos on Facebook about burning out and trying to run a business while struggling with overload and depression it also sounds like a lot of us don’t give ourselves the time and space we need because we’re also worried about losing clients if we take time off or be ourselves. Yesterday I touched on that in a new video which is part 1 of 3 videos I’ve going to do on the topic of finding and keeping clients. I know I’ve talked about this topic a bunch before, this time however I’m also talking about the personal side of things: the fear, the worry, the disappointment. I’d love to hear your thoughts. Looking back, one big thing I realised I was lacking in my early days was consistent clients. Having the same people at your bootcamp month after month builds an awesome community in your business. Something which I only appreciated the awesome power of once I saw it in action. Also going from 5 sessions per week to 10 sessions, having over 10 clients in each evening class and over 25 clients in our 6am class meant I could do more fun sessions too. The whole thing gained crazy momentum and took a life of it’s own. It was awesome to be a part of and all it took was getting smarter about my business. But with so much business advice out there I had no idea where to start. Should I only listen to fitness pro’s? What about other business books? What on earth is customer churn? I knew something needed to change. But what? If you build it they will come. My training will speak for itself so I don’t need to sell. This mistake I made early on. I assumed that if I just trained people really well, other’s would magically hear of my training prowess and want to join my sessions. For some reason The Field of Dreams method didn’t work for me and I ended up frustrated as I watched people leave and not be replaced by anyone new. Once I realised that that this was flawed thinking I started making changes which funnily enough gave me the opposite results. Good results! I see trainers get hooked on this all the time. I was hooked on it too. Through stress and panic I would blindly try every marketing route I knew to get people to sign up for the following month. Meanwhile my bootcamp was like a cup with a large hole in the bottom. I was adding new clients at the top but they where all falling out and instead of fixing the hole I just tried to pour in more clients. Totally crazy when I think about it now. Once I worked out how to patch the hole and keep it patched it made all of the difference. 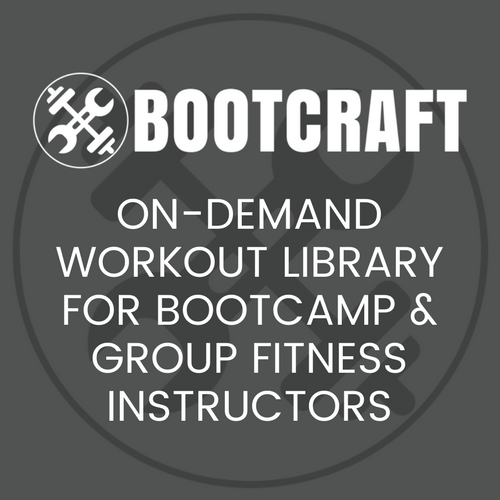 My bootcamp sessions are all my clients want and need. I want to share with you a story of when I realised how huge a mistake this was. I can remember it vividly. I sat on the end of the long table. Well actually it was several tables pushed together in one long line. In front of me was a window into a pub, behind me I could hear the huge waves crashing on the beach as they always seem to do in Kilcunda. I took a drink from my glass of beer. My hand was still shaking from the race. Actually my entire body felt spent. I looked down the table at the 21 muddy faces and hair. They were all chatting with smiles on their faces as they tucked into their steak, fish or chicken parma. Occasionally one of them would look down the table and catch my eye. Give me a grin and then go back to their happy chat. At that moment I felt sheer bliss. A sense of fulfillment that was a major highlight of my training career. We had just splashed, crawled and climbed through our first Spartan Race. All 22 of us. Some who had never run more then a couple kilometers in their life prior to the training of the event. We completed the race as a team, despite it being timed and we finished together. For years I assumed clients just wanted to come to training but in fact they wanted so much more. They wanted a community, they wanted commarades, they wanted to be part of a team. More on that soon. I care but I don’t really show it. If you are a little introverted like me then you have totally fallen into this one at some point. Plus I doubley do because I am what they call a Millennial (or something). It means I got my first mobile phone the same day I first got my nappy changed. While that’s not entirely true, the fact that I made this mistake many, many times is. The mistake is not showing that you care in a meaningful way. An email asking where someone was 3 days after they missed a session is not a great way to show you care. Waiting until the night before your bootcamp to plan the session, when you know you have a big range of fitness levels coming, is also not a great way to show you care. Not following up with that client who has been away sick for a couple of weeks because you don’t want to bother them. Also a huge failure of showing you care. Not celebrating your clients achievements (fitness and non-fitness), not because you don’t notice them but just because you… well… it feels kind of slimey is yet another way. You can show you care without being annoying and without seeming salesy. Even if you are introverted. I want to be affordable to everyone. This is one of the most damaging mistakes you can make for your business because it hurts you in two ways. For me, it made it hard for me to be profitable and even to put food on my table some weeks. The math of it just doesn’t work out. $5 per person means I have to train 200 people a week just to make $1,000 (before taxes and expenses). The second way it hurt my business was that people didn’t take me seriously. It positions you as the $2 shop of group fitness. People will use you as they need to and then leave without much thought about it. This list originally had just 5 mistakes but I went ahead an added this one because it’s become so important. New platforms for marketing your business online are great for finding clients but they do leave us spending a lot of time behind our computer not actually talking to our peers. We see everyone else seemingly crushing it and then beat ourselves up for not having a bigger/better/smarter/richer/etc business. The truth is that everyone is struggling in this and it’s so important to surround ourselves with supportive, authentic people who are going to be candid with us. Most trainers believe that being a great trainer is enough to build a thriving fitness business. Instead, I’ve discovered that learning about smart business techniques and creating a powerhouse community is just as important if you want to avoid working like a dog and getting nowhere. 31 Days to a Better Fitness Business removes the guess work and gives frustrated trainers daily actions towards creating a reliable, fulfilling bootcamp. In the next video I’m going to share with you one key system I put in place that helped transform my business. This system should be part of your businesses foundation. When you get a new client, ie. a new member of your community, you want to give them an awesome experience from day one. Most businesses don’t care about this. Or they do, but do a terrible job at showing it. I bet right now you can recall a time when you were treated with hostility while trying to be a customer of another business. It might have been at a department store, on the phone to your mobile phone company or even just the tired, grumpy person who served you last time you got pizza. So let’s stand apart. Let’s stand out by giving our new clients an experience of caring that they simply do not get from dealing with any other business these days. And for the times when we are tired or grumpy or busy ourselves, let’s make a checklist we can follow to keep giving that awesome experience. try to focus on them a little more than the rest of the group. Use their name as much as possible to fix it firmly into my memory. if they are really struggling I try to get them paired up with someone else who also really struggled when they started. I would then ask my old client what they remember of their first few weeks and if it gets better. around 24 hours after their session I would call them to see how they are feeling, make sure that the session didn’t aggravate any old injuries and give them some advice on stretches and walking to ease DOMS. a short little text message wishing them a Happy Birthday and a fun day. You could also do a birthday workout and/or mail them a birthday card. Feel free to build, adapt and customise my process for yours. The key is really to have lots of personal contact around they time they are starting. Don’t just assume that because they have paid money and come to the first session that they are now a client for life. You need to nurture that relationship, make them feel safe and like they are being looked after. But for now you can do just one thing, in the comments below share with me one area you think you might be messing up with client induction and how you’re going to fix it now you’ve watched the video. Totally, it’s hard being our own boss and holding ourselves accountable. If I can share with you what’s worked for me, actually scheduling in some client admin time each day. Just like scheduling in a workout. I’m finding a hard time finding/getting clients. Once people come through my doors I don’t have a problem with retention. In the course I’ll show you how to better target new people too. No gimmicky marketing tactics, just tried and tested marketing skills. Two things stood out for me – one is the questionnaire form at the start of the first session. What do people use? Sometimes people contact me via my website, others message me via FB, others call. Sometimes I don’t actually have their phone numbers to contact them personally. A form at the start of their first session would be good to collect all their info.